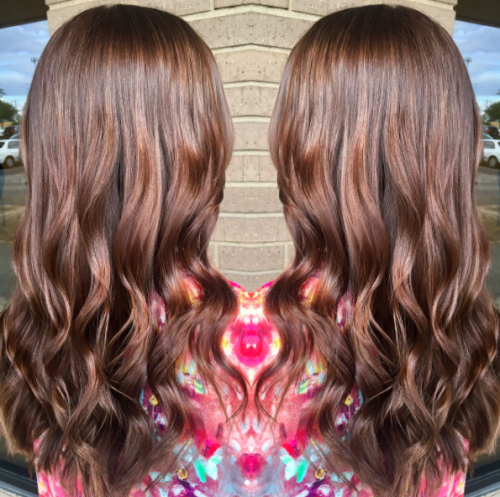 Chocolate brown hair color ideas are timeless, a color and shade that really has stood the test of time. The shade is also coming back with a vengeance, especially with the likes of Kate Middleton rocking the look. 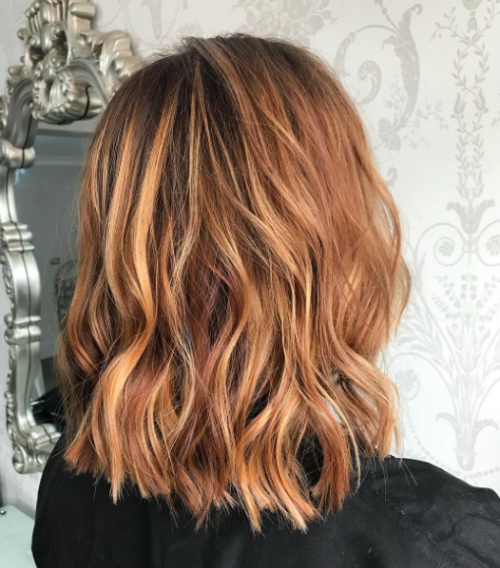 With a wide range of tones to pick from, and a huge variety of styles to wear them in, these brown hair looks are good enough to eat, although we wouldn’t recommend it. 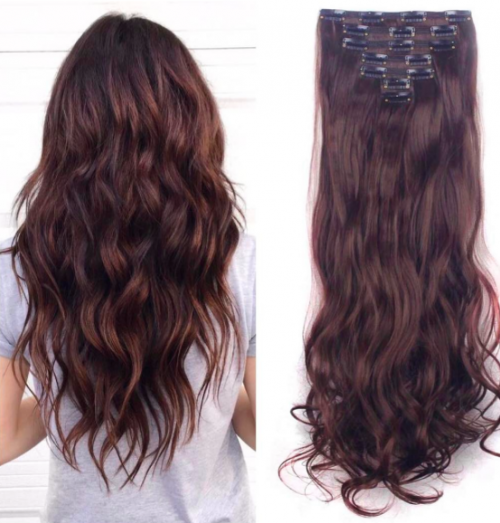 Remember that your hair will get shorter when you add waves, so this look would actually be just below shoulder-length if you were to straighten things out. 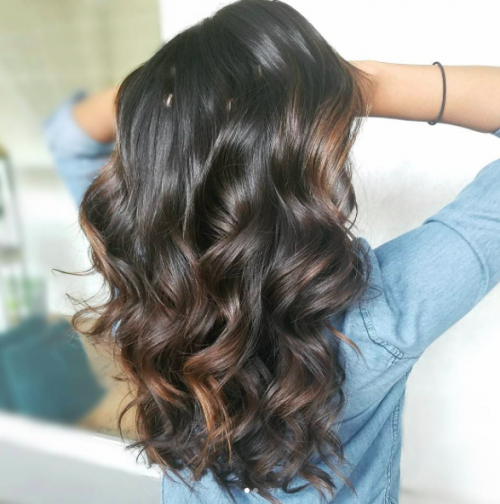 When you want to add tighter curls, opt for a slightly longer cut to your chocolate brown locks. 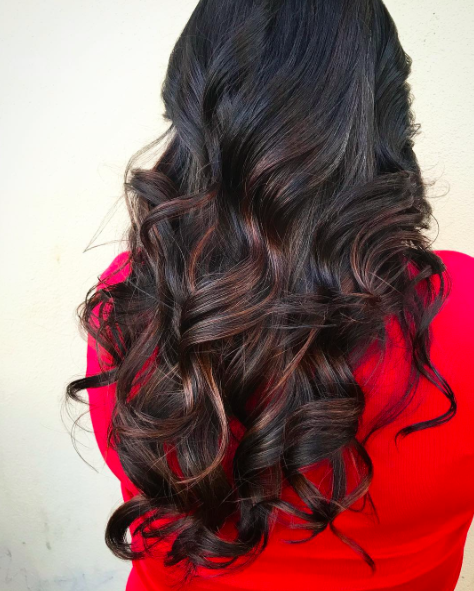 Work with the natural waves in your hair to really bring your chocolate brown shade to life. Using your blow dryer and a round brush will easily help you to create this look relatively quickly in the morning, without the need for curling irons. 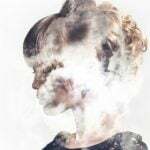 You may even find that letting your hair dry in a messy bun overnight will also give you a similar look, which you can then run your fingers through with some product when you wake up in the morning. 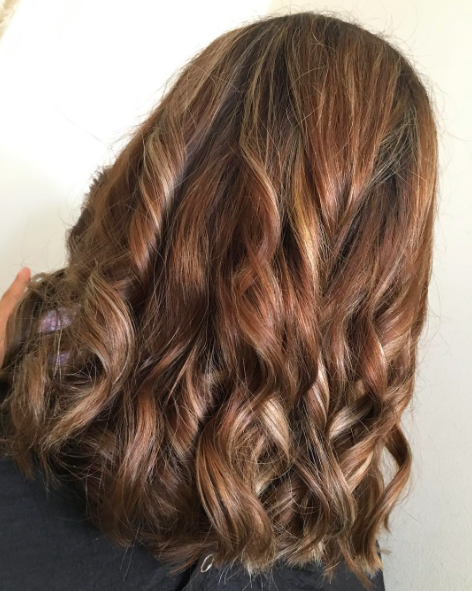 You don’t need to go super dark if you want to look for chocolate brown hair color ideas. You don’t even need to cut out your natural red hair either if you’re lucky enough to be able to own those fiery red locks. 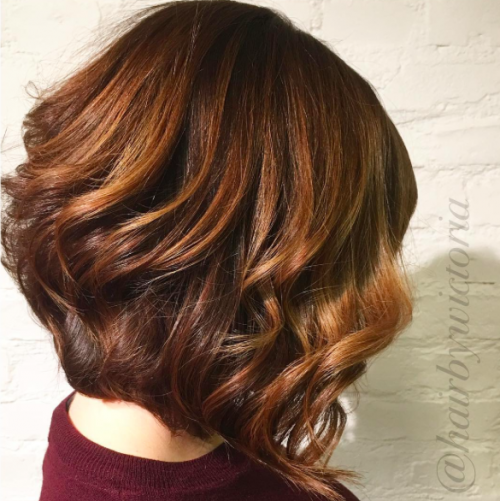 Match your tones of chocolate brown with auburn and copper shades to give you a fall look that will easily see you right through winter and into spring. Beige blondes are an easy way of going blonde if you don’t want something too bright or bolshy. 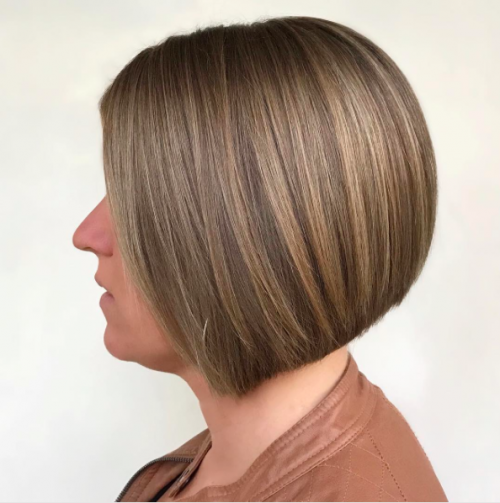 More subtle and sophisticated than more yellow-toned shades, ashy and powdered blonde shades work really well with the toned-down chocolate hues towards the roots. 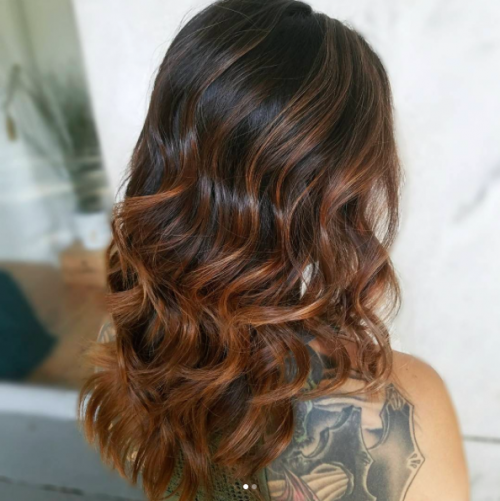 Mixing the natural with the unnatural is a great way to liven up an otherwise ‘regular’ shade, and you can achieve the looks using permanent or semi-permanent dyes if you have the lighter shades already added. You could also opt for a more temporary, wash-in/wash-out finish by using hair chalks. Think you can’t go cute and curly with your chocolate brown hair? Think again! This cute and curly look is easily achieved with both straightening irons and hair curlers! If you don’t have the right tools to hand, learn how to do flat iron locks to give you more uses out of the items you already have to hand. 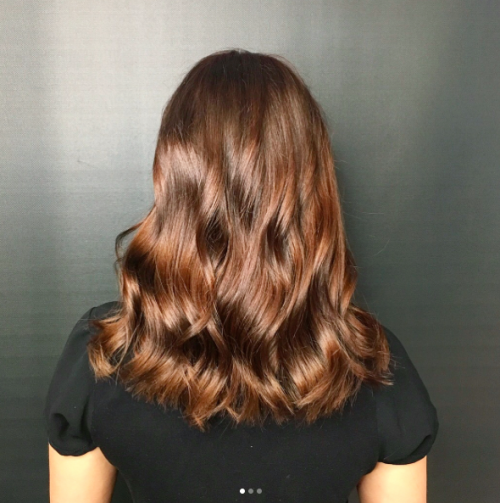 These shoulder-length messed-up locks has combined wonderful tones of praline and milk chocolate together, in a look that brings together all our favorite fall colors. It’s fiery, that’s for sure, but does it float your boat? There are lots of benefits to go slightly darker if you’ve had light blonde hair for a while. All that lightening will have a drying and damaging effect on your hair, and you won’t need to go through all that if you stick to something close to your natural hair shade, or even slightly darker than that. To add more dimension to your hair, add a few different tones of light and dark in with your waves and layers. All three of these things together are perfect for helping to add volume and oomph to thin and flat hair. 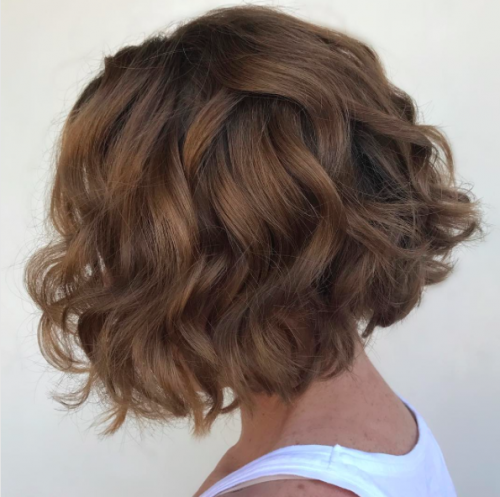 A long bob, or lob, is perfect for these chocolatey-tones, bringing in shades of slightly strawberry blonde and auburn into the mix. There are so many benefits to having shorter locks too, including spending less time washing, drying and then styling your hair every day. This look will be much easier to manage and maintain than some of the longer locks, and for that, we absolutely love it! 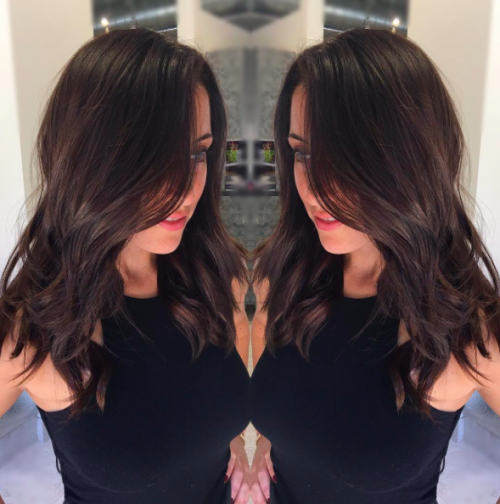 We’re taking things back to ash with this stunning chocolate brown look. It’s romantic and elegant, all in one, perfect for classic wedding, we reckon. 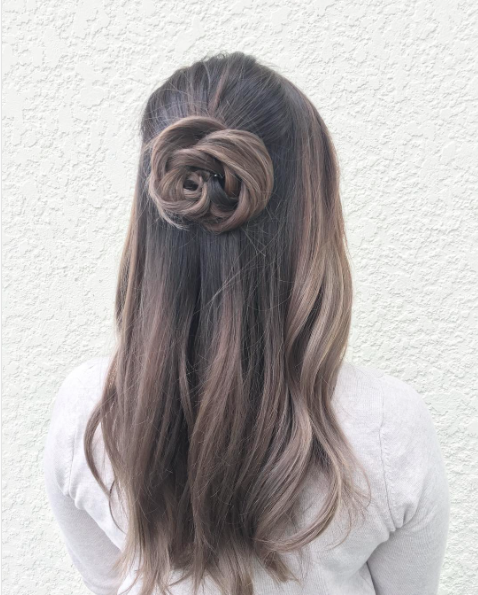 The shades in this look are truly breathtaking, and we adore that each of them have been shown off by twisting that loose braid back into a loose bun. Thinking of taking things over to the short side? 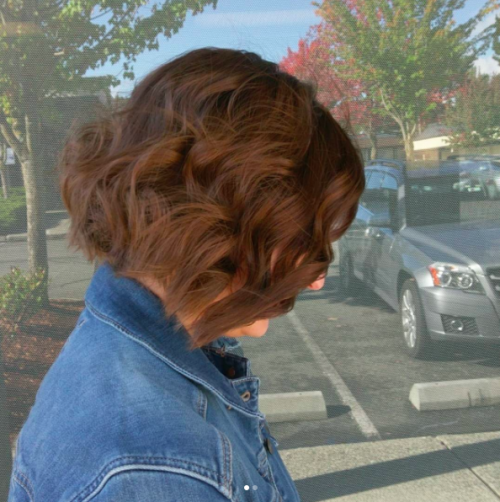 How about this short chocolate brown bob with high and low lights? The stacked layer at the back helps to build movement and texture, and this scattered, mixed tones really bring the whole look to life. Would you say that this hair was limp and lifeless? No, we wouldn’t either. A deep, rich chocolate shade that is all brown and no red or brassiness, the sophisticated and sultry dark brown look is perfect for those with slightly darker skin tones. It works especially well on those with olive hair, such as acting beauty, Zoe Saldana. Any lighter than this and the look could easily look washed out. Luckily, those darker tones really help to bring it back from the dead. 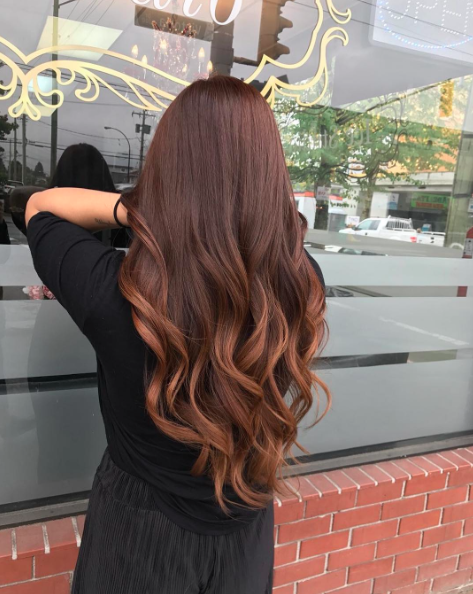 Cool skin tones, such as those rocked by the likes of Kate Middleton, are perfect for rich, brown and chocolate tones, leaving out the brassy, red and auburn shades. If you have green eyes to rock with your long, brown locks, a hint of red adds the perfect thing to make them pop, but it’s an optional extra. Of course, if you don’t have the kind of chocolate brown length that you want, you can always fake it with extensions. 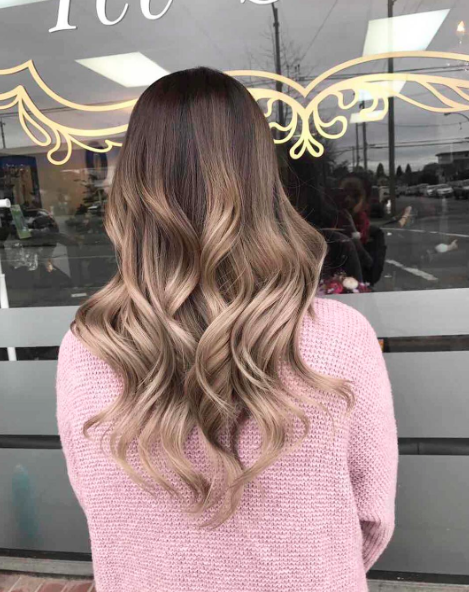 Color-matching makes it easier than ever to get the right tones and shades to add to your locks, so make sure you do your research and buy the right shades for you. If it’s not the right shade, can you dye it without ruining your new hair pieces? The beautiful and soft tones in this look are perfect for when you want a no-muss, no-fuss look with clean lines and simple styling. Smoothing, hair protection products will help you get this glossy finish when you’re blow-drying. Keep things lighter on the low-down and you could end up with a look like this one, perfect for girls who are blessed with really long locks. 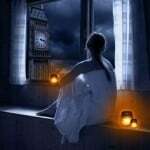 You have so much length to play around, it seems such a shame to waste it. Especially when you could have a complex ombre blend of colors, as shown here. It’s fall, therefore, the season of pumpkin spiced everything. 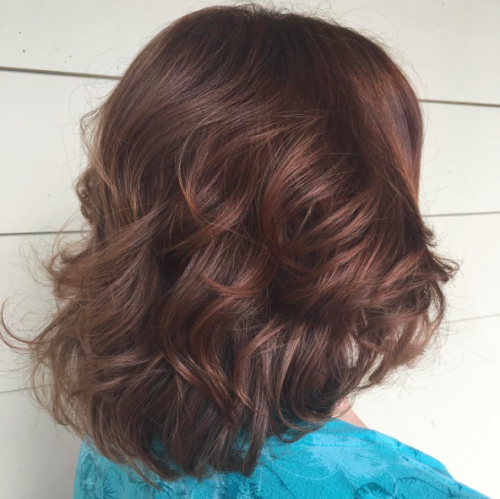 Isn’t it about time you added some pumpkin spiced highlights to your chocolate brown hair color ideas? No? Take a peek at the image below … Doesn’t it want to make you change your mind?? 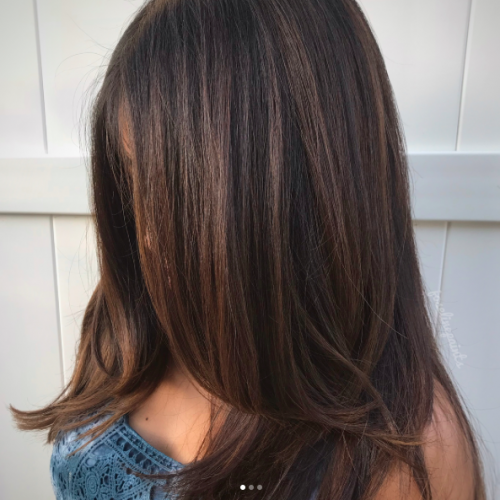 Lily Aldridge is a big fan of chocolate brown hair color ideas like this one, darker on the top and lighter on the bottom. 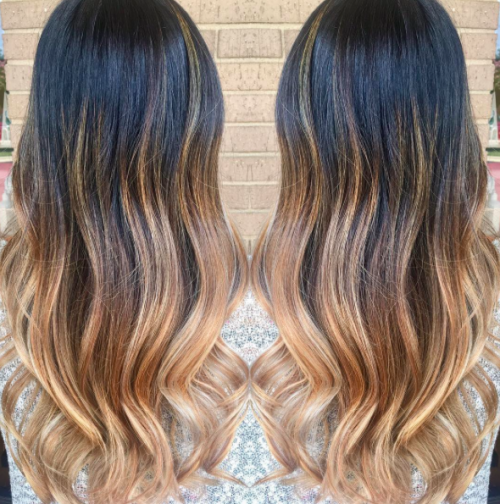 A good ombre is a classic and timeless look that really will stand the test of time. Darker roots allow for many more weeks between salon appointments! 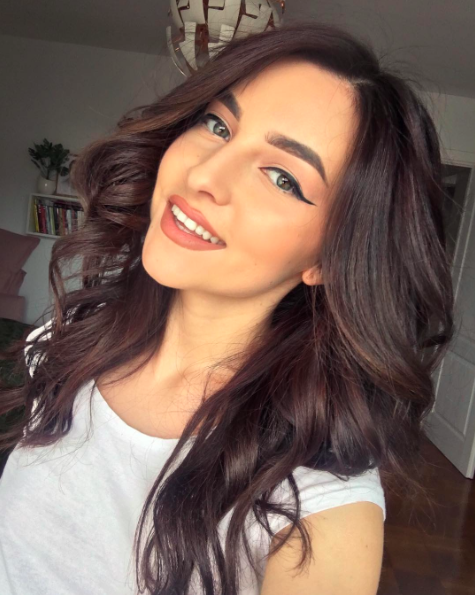 If you have darker toned natural hair, chocolate brown hair color ideas like this one are perfect. Your natural, dark roots can easily grow through for a few weeks before your look will need to be touched up. In fact, if you’re looking for a way to grow out a lighter look into a darker one, this should be your total inspiration. Keeping things sleek and A-line is perfect for when you’re a busy mom, working woman, and all-round wonder-woman, and with looks like this one, you will need to set aside very little time for management and maintenance. 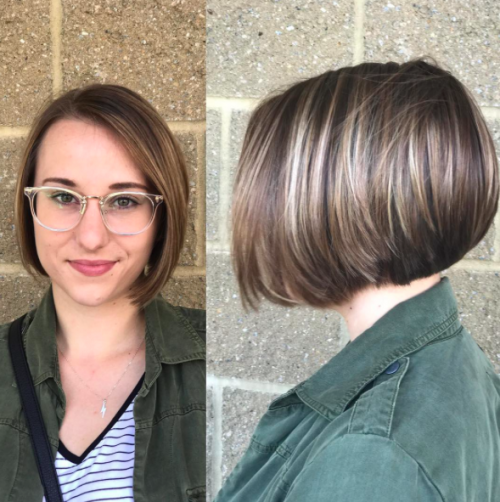 Darker and more natural roots once again allow you to have a little grow-out time between appointments. For those who want to stay dark, keep any lighter tones right away from the face. This means adding them to the ends of the hair, or in random streaked and highlighted patches across the top layers of hair. The more lightness you add to the hair that surrounds your face, the more washed-out your face can look. Keep things on the darker side, especially if that’s your natural shade, and it’ll be much easier to wear. 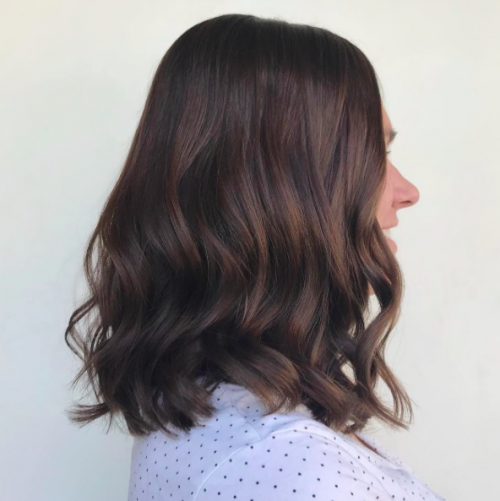 The textured curls in this wavy, chocolate brown look really took our breath away, a blunt-finished bob with some choppy-edged layers. 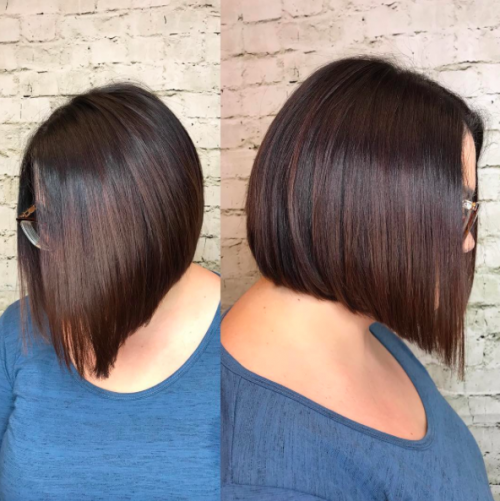 We loved the cut alone, but those chocolate brown tones really help to set them off. 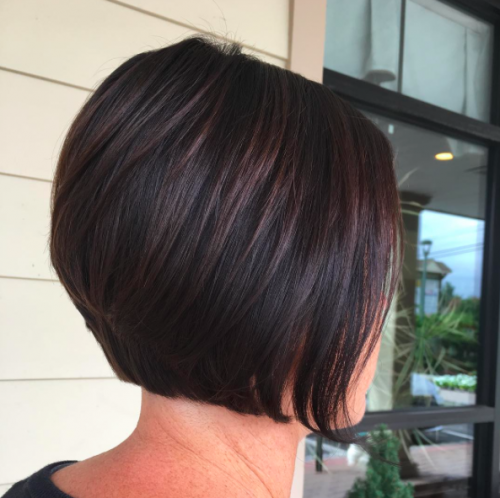 Wedged and stacked bobs have those layers at the back which work to cleverly bring in texture. It’s perfect for women who have light or fine hair that doesn’t ever want to do as it’s told. You don’t need to go for an all-over chocolate brown look, of course. 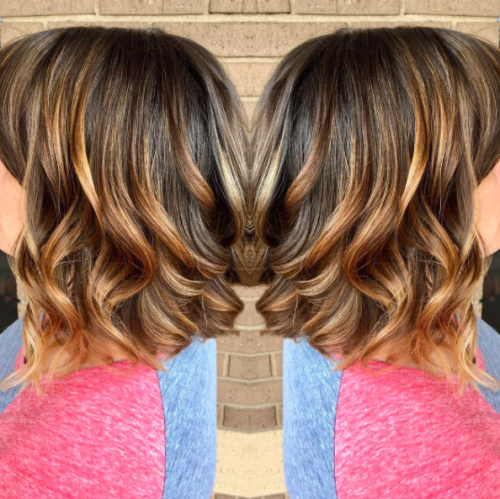 Instead, you could just choose to add tones of the yummy shade into the mix, as shown by this brilliant and bright balayage. Use your flat irons to sweep and flick your hair away from your face for a look that takes ten minutes and looks damn fab. 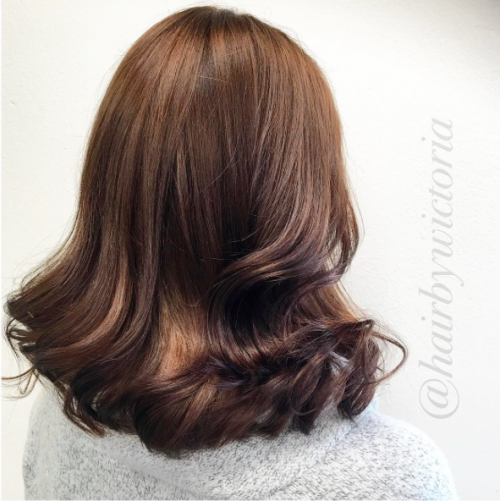 This chocolate brown look has been left relatively natural and fluffy, with just the hint of large waves thrown in to stop it looking too undone. For a style that looks good enough to eat, how about this chocobrown lob? 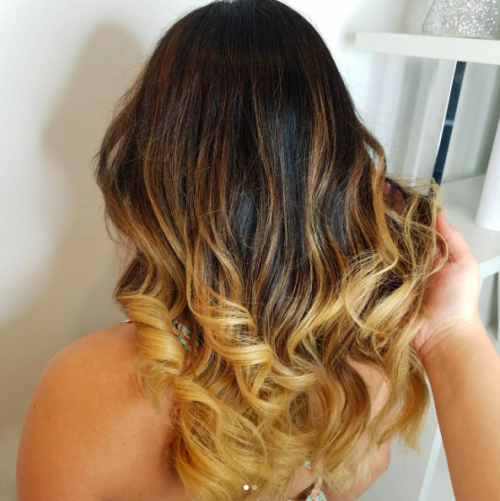 Those rolling waves are fabulous for a glam and elegant feel, and that color is so rich, everyone will be asking where you got your hair done! 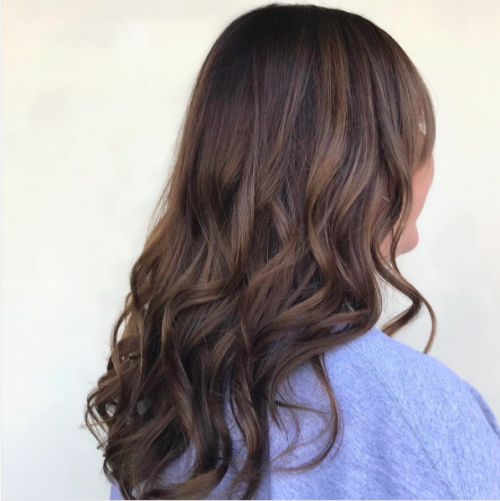 Add hints of caramel to the ends of your natural and chocolate brown locks for a lighter, brighter look that adds an instant ray of sunshine to your face. You don’t need to go light all-over in order to have a big impact. To get hair as glossy as this shiny look, make sure your hair is already in good condition. 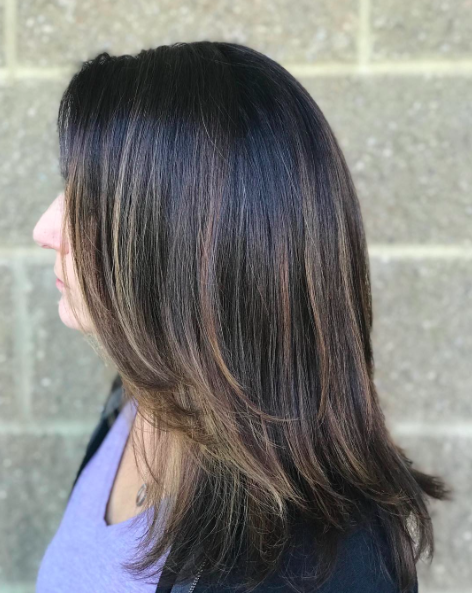 You won’t get the right color finish with dry and damaged hair, so before you head to the salon, make sure you top up on your conditioning treatments. 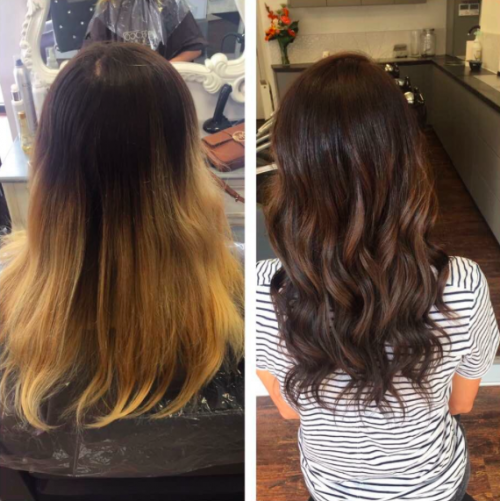 The before and after are huge contrasts, but it just goes to show what a really good colourist can do to your locks. Make sure you’re working with the right person for the job to get the look you really want when you walk out of the salon.